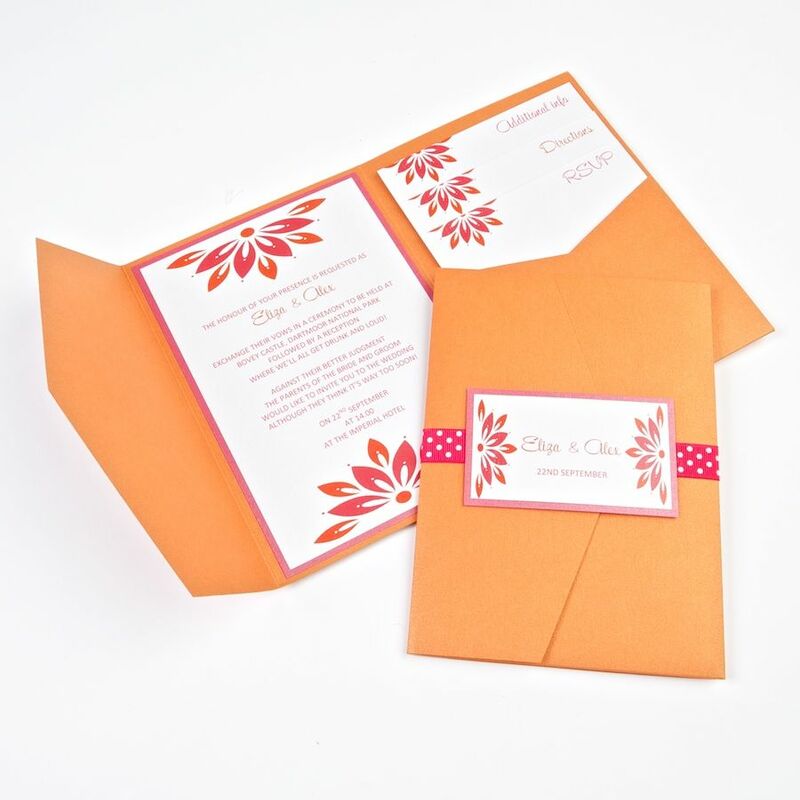 Available as both a pocketfold or a wallet this design is a must have for a summer wedding. 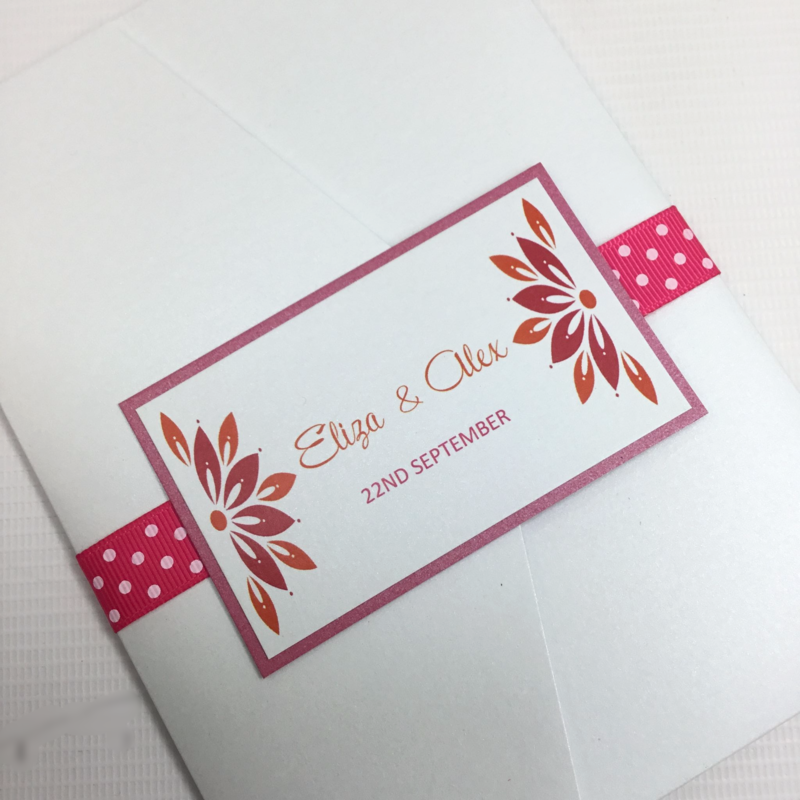 Just wanted to say that all our guests have commented on how beautiful our invitations were, and the service provided from both enquiry stage through to delivery has been excellent. 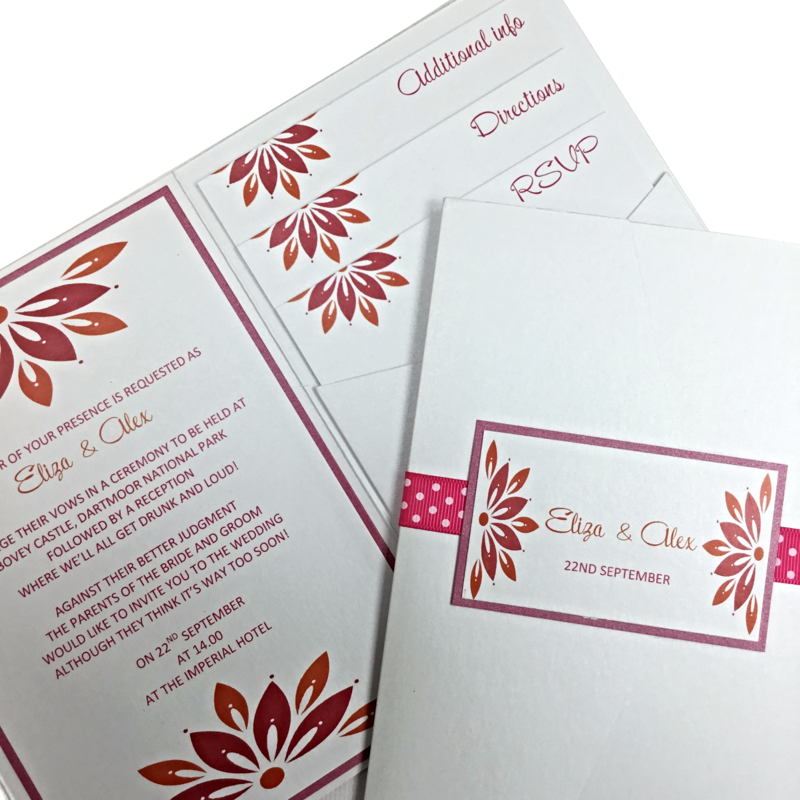 The Summer Haze design fits our colour scheme perfectly and they are made to an excellent standard. Will definitely recommend you to any of our friends who get married ! 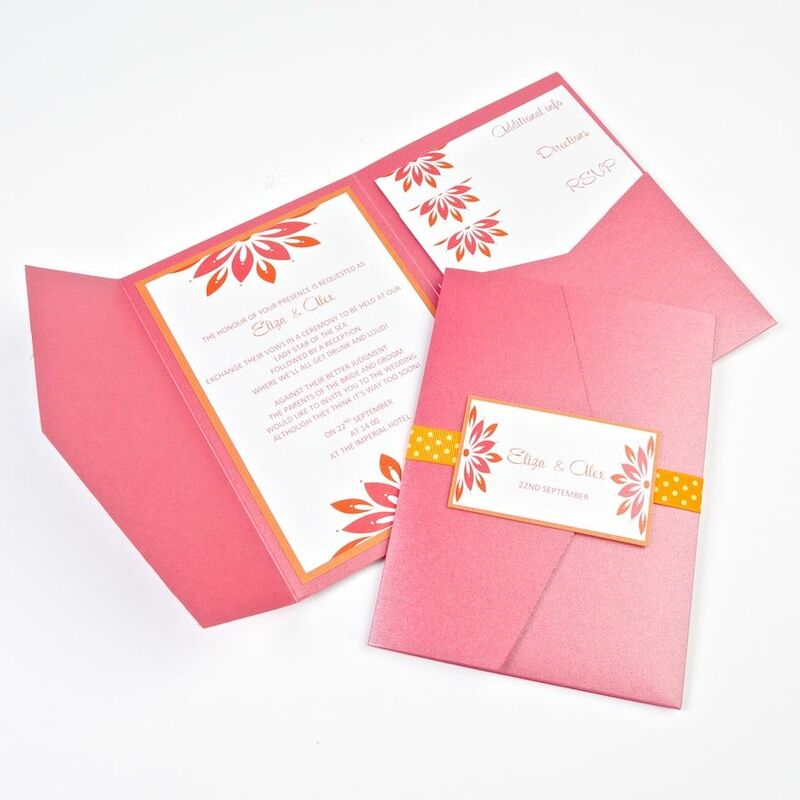 Pocketfold invites have been an amazing company to work with, they have assisting in the design and many changes which we have wanted. The team are very friendly and respond quickly. 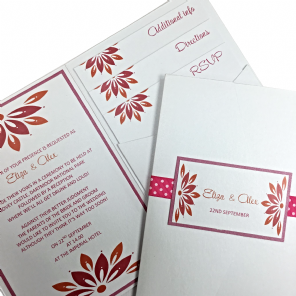 The invitations were delivered before the expected delivery time and well packaged. 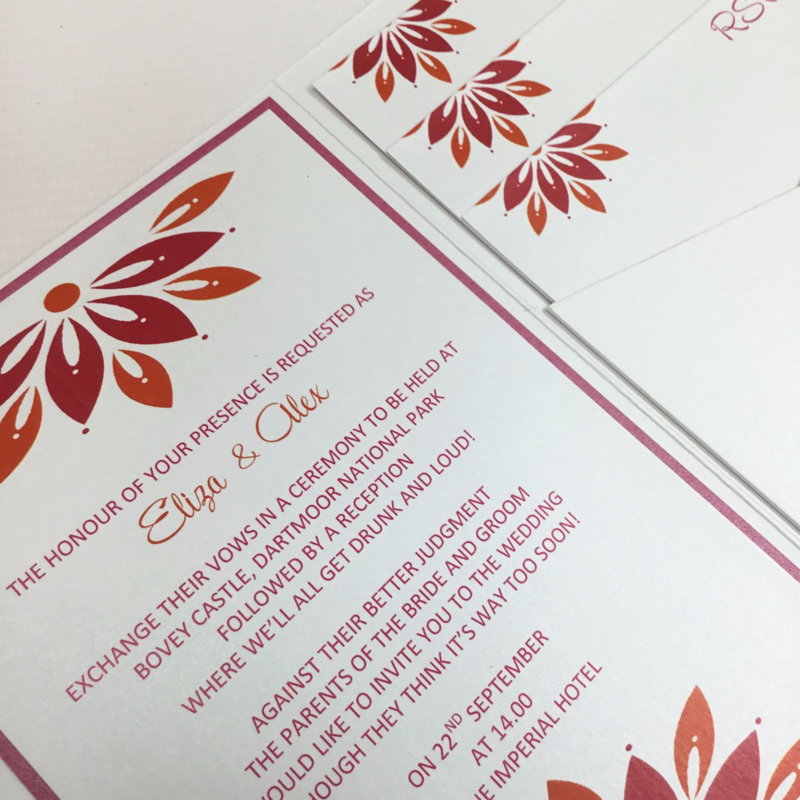 The end result was fantastic, we had many positive comments from the recipients, who love the design and the professional quality of the invitations. I would definitely recommend Pocketfold Invites to anyone looking for brilliant wedding stationary! Just to let you know we have received our wallet invites and we are really pleased with them. Many thanks for your help.